Do you know how big a football field is? The length of a football field must be between 90m-120m, while the width has to be between 45m-90m. IT IS HUGE, ISN’T IT? So, 1 football field is huge, how about 9 times of a football field? Amazon Fulfillment Centre for Fulfilled by Amazon (FBA) has warehouse in the size of 9 times a football field and they even use robots (KIVA Robots) to store and pick up the products! To be frank, I know nothing about Amazon, except knowing that it is an international online retailer; the phrase 'Amazon Fulfilment Centre' was like a new phrase to me. Only after the My Global Export program I understood that Amazon Fulfillment Centre is being set up in different locations for a service named "Fulfilled by Amazon". 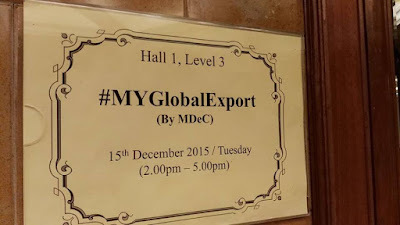 So I participated in My Global Export Program by MDec on 15 December 2015. 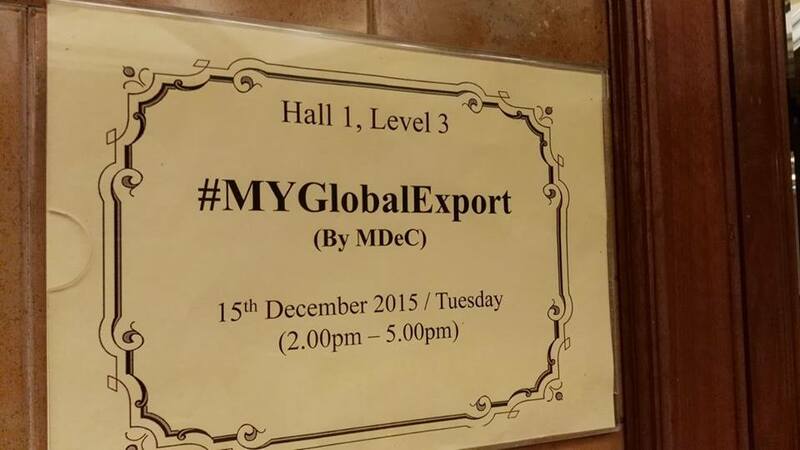 It was a knowledgeable and wonderful experience to be with the speakers and all the other participants. 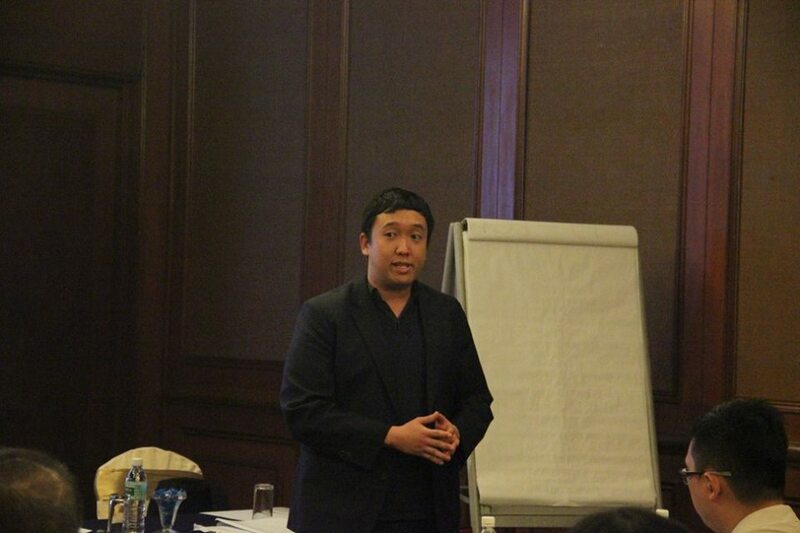 Mr Zachary Zhou who is from Amazon gave us a very comprehensive information regarding Fulfilled by Amazon. 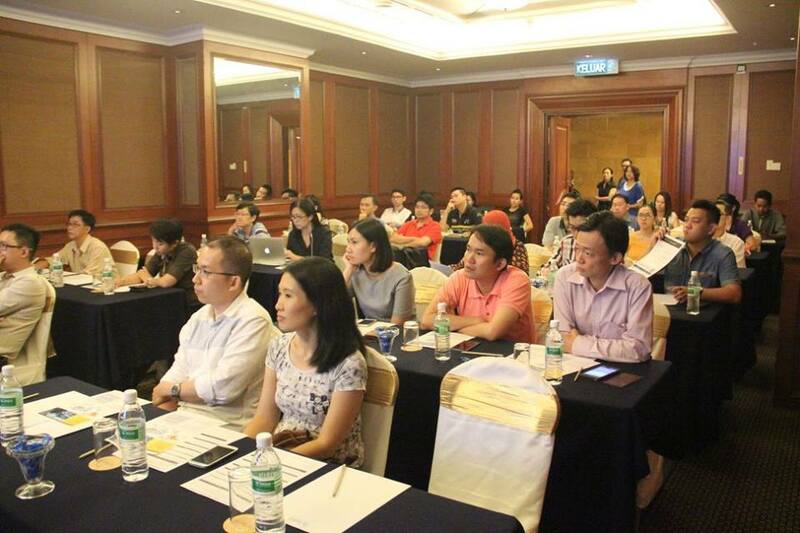 Have a look at all the concentrating participants! 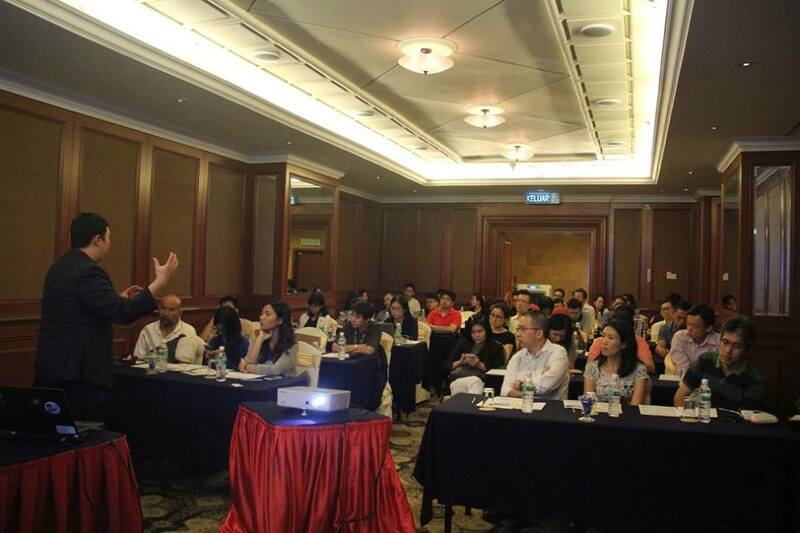 Mr Zachary not only had given a very informative talk but he also tried his very best in answering questions from us. The Q&A session was one of the interesting parts, as everyone of us was eager to know more and he got all our questions answered. Look at the WRAP UP below and you should be briefly understand the gist of the service. 1.SHIPPING. As an Amazon seller, you just need to ship your products to any of the Amazon Fulfilment Centre and your products will be stored in the centre till order received from customers. From the centre, they will ship the products to your clients and the shipment will reach around 2-3 working days. 2. GOODS RETURNING. In case customers request for a product return, they can return it to the Amazon Fulfillment Centre instead of delivering it back to Malaysia. Then the returned goods will be managed by Amazon Fulfillment centre. 3.LABELING AND BARCODE. Amazon Fulfillment Centre also provide labeling and barcode service if require. This lessen the burden of the seller as they can straight away deliver their products to Amazon Fulfillment Centre and Amazon will take care of the rest of it. 4. CUSTOMER CARE LINE. Fulfilled by Amazon also provide customer care service line in multiple languages depending on your customer countries. 5. DELIVER TO CUSTOMER FROM OTHER ONLINE CHANNEL. If you are an experience seller who already established your career in other e-commerce channel such as eBay, Fulfilled by Amazon can also help you to deliver your products to customers who ordered via eBay. As long as the customer is located at the area of the Amazon Fulfillment Centre that you have stored your products, Fulfilled by Amazon can always help you to deliver them. 6. MARKETING STRATEGY. When you first register your Fulfilled by Amazon service, you will receive 50usd sponsored products credits. You can spend the 50usd to make sponsored (promotional) post on Amazon. You can always reload the sponsored products credit whenever you want. Besides that, sellers can also join Amazon Festive Promotion to put on discounted price to attract buyers. The revenue you earn from selling on Amazon will be transferred to a Payoneer account. It is a medium similar to PayPal which you can make money transaction online. Registering as a Payoneer member and as an Amazon seller, you will get a Debit card to use in Malaysia. So far there is no local bank in alliance with Payoneer but, according to the authority, Amazon is planning to work with a local bank so that Payoneer can directly make money transaction to bank in Malaysia. In Fulfilled by Amazon, you pay as you go. It is cost effective and convenient. The charges are made based of the size and weight of your product, and you can always estimate the charges you have to pay by using FbA Revenue Calculator. 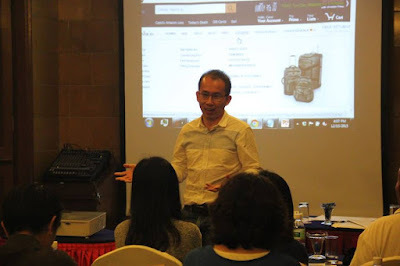 Besides that, Mr Seck Hoe also shared his experience with us as one of the existing Amazon seller who uses Fulfilled by Amazon. Look at how cheerful he was. He was very interactive with the audiences and even exchanged contacts with participants. In his speech, he shared with us his views as well as personal experience in using Fulfilled by Amazon. There were some pros and cons in using it, but to his words, the pros had certainly overpowered the cons. At last, we would like to convey our greatest gratitude to Carol Fung for conducting My Global Export Pilot Program and making it a successful and fruitful seminar. Not forgetting our speakers Mr Zachary Zhou from Amazon and Seck Hoe who is one of the Amazon Seller. 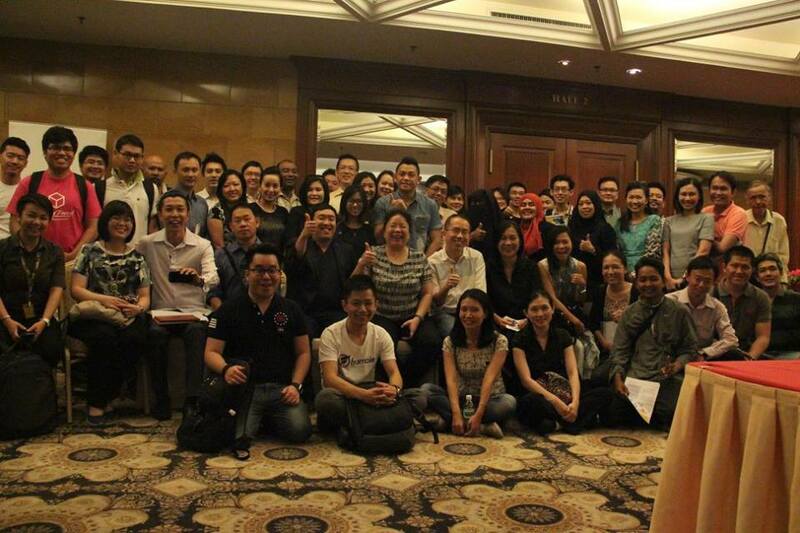 Looking forward to have more of this type of informative events in Penang! Let's end this post with our cheerful group photo. For further information, please check out Boost Your Sales with Amazon's World Class Fulfillment. If you are a seller and hoping to extend your business market globally, go to Amazon Global Selling and the professionals will approach you ASAP to help you in expanding your business. Disclaimer: the information shared represented the writer's own experience and we accept no liability on the information shared. Use at your own risk and appreciate any notifications if errors in information. All the image credits to www.amazon.com and Carol Fung's official Facebook page.